One of the greatest misconceptions in the garden is that winter is boring and nothing happens apart from a few snowdrops. Well the latter is true, snowdrops do herald the end of winter but if you select your planting correctly, winter can be one of the most exciting seasons especially with colour, structure and scent. 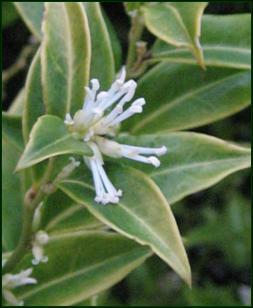 At the moment (Feb) , the air is heavy with the scent of Christmas Box (Sarcococca humalis). Planting this along the side of a path or close to a kitchen door will bring you a great treat every time you brush against it. Winter also is the season for two wonderful larger shrubs or small trees. It is the season of the witch hazels. 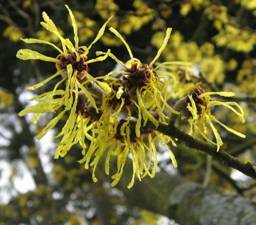 The wonderful Chinese witch hazel (Hamamellis mollis) is just fantastic on a still day. The beautiful spidery flowers that sprout straight from the branches send out a scent to die for. ‘Pallida’ – a yellow flowering variety is one of the most beautiful and commonly available. The orange and red flowering varieties are less perfumed but still a great plant in the garden. ‘Jelena’ is a good orange variety to look out for. Not dissimilar to the witch hazels is the Cornelian Cherry (Cornus mas). Again sprouting yellow flowers from the branches, it has the sweetest of scents and one that will have you going out in the garden just to fill your lungs with the heavenly smell. 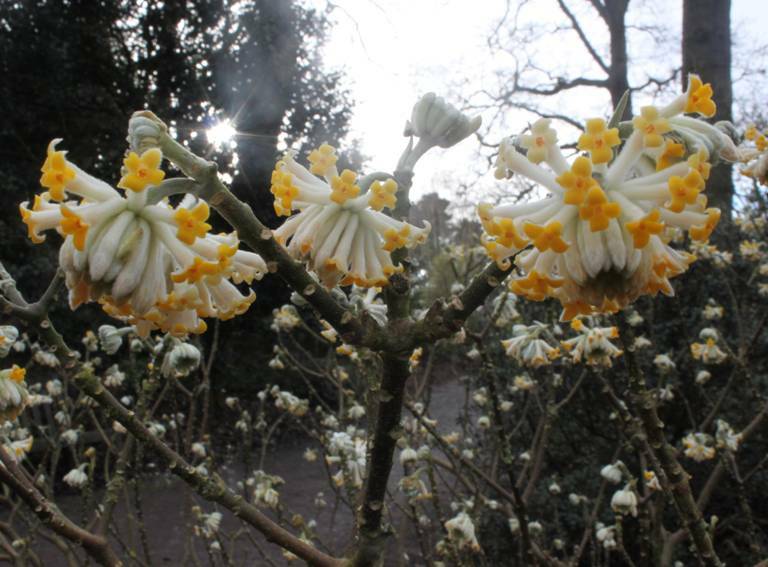 An open shrub that contributes to the garden in January and February with its delicate scent and very pretty flowers is Edgeworthia chrysantha. 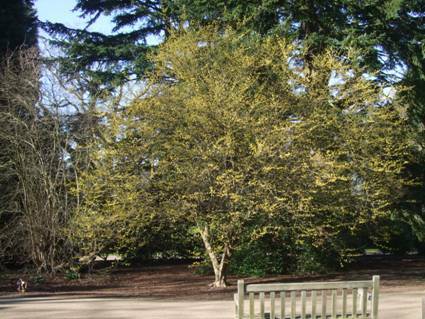 It grows well in semi-shade areas and complements Hamamelis and the Cornus. It looks great if you plant groups of snowdrops (Galanthus nivalis) and little winter aconites (Eranthus hyemalis) underneath it. A shrub group that punches well above their weight with regard to winter scent has to be the Daphnes. 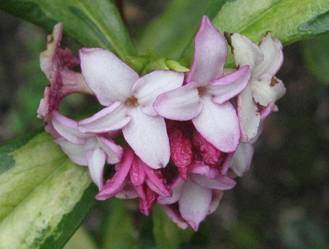 The commonly available Daphne adora has delicate pink flowers in winter that are as sweet as any rose in summer. Quite slow growing it is an attractive evergreen shrub during the rest of the year. Again, plant it close to house and you will find yourself sneaking out for a quick sniff. So don’t despair about your garden in winter, a careful selection of plants can transform you sleeping baby into a haven of scents equalling that of spring and summer.